Ten members of SPJARA had a guided tour of our magnificent cathedral, whose restoration is now complete. We visited the Crypt and the Library, learning of its history. 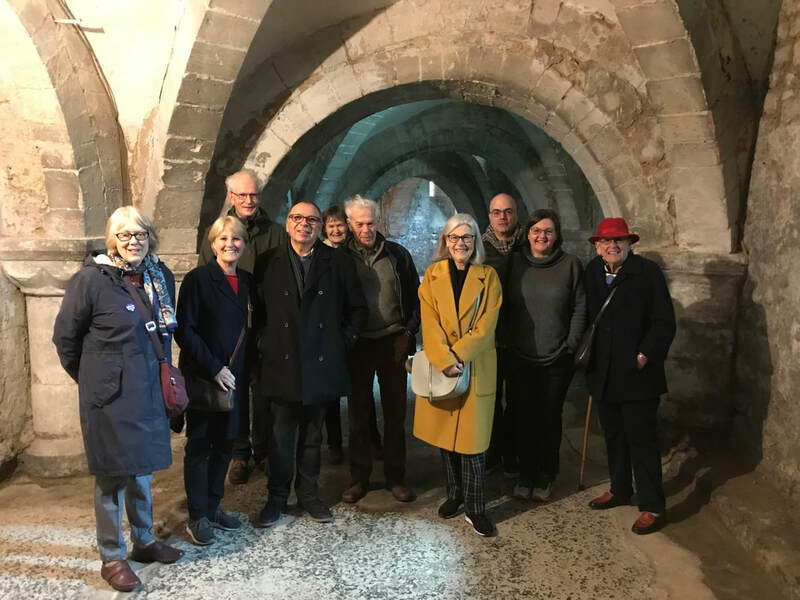 We admired the magnificent tomb of Edward II; a glorious map of the grounds of Versaiiles; the beautiful, colour-rich modern glass celebrating the lives of Gerald Finzi and Ivor Gurney by Thomas Denny; and the "Harry Potter" cloisters. And we rounded the visit off with an excellent cream tea in the Monks' Kitchen.